When it comes to attracting hungry customers at night, there’s a lot more to it than parking and shouting “We’ve got food in here.” Whether you’re the only food truck on the block or you’re one of many at an event, lights can make a huge impact on how much business your truck receives. Not only are lights necessary for food preparation and cooking, they play a key factor in grasping customers’ attention. It’s crucial to understand that this is a mobile kitchen and everything from the refrigerator for your veggies to the water pump for your dishes needs to run on electricity. The source of your power will either be an external generator or the battery for the truck. The voltage output will determine what kind of lights you can use. A generator could produce the American standard 120 volts of alternating current (AC) or 12 volts of direct current (DC). Using truck battery option would also result in a 12-volt DC power supply. The lights need to conform to the voltage you choose. While it’s a little easier to understand and install 120-volt lights, a 120-volt generator would require extra cash for diesel and adding venting to your truck design. 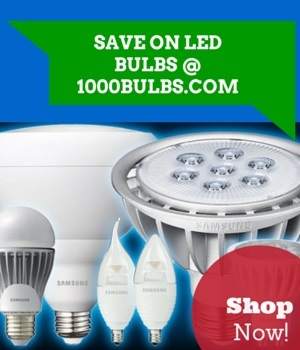 Luckily with the rise of LED lighting, 12-volt DC lights are easier to find and use. Depending on the layout of your food truck, slender T5 or standard T8 bulbs in 2 to 4-foot lengths can illuminate your interiors. Since tube lights can cover large areas, they work best for overhead general lighting purposes inside the truck. Regardless of what bulbs you decide to use, you will need vapor tight fixtures to protect your lights. Vapor tight fixtures prevent small particles of liquid, such as steam or grease, from entering the fixture and potentially creating an electrical short. They also keep your lights from harboring any substances that go against the health code. You can use fluorescent tubes or the more energy-efficient, lower wattage LED tubes. Focus your lighting on the areas that matter the most: the stovetop, prep counters, and order windows. However, don’t leave your fridge and shelving to languish in darkness, use smaller fluorescents and LEDs in corresponding sealed fixtures for these areas. You may also try integrating the bulbs into your hard top awning for overhead lighting. Another way to provide essential task lighting inside food trucks is by installing LED strip lights or rope light. Rope light and strip lights are flexible, ideal for spaces like your under cabinets or as backlighting. Not only are strip lights easy to install because of their adhesive back, they help to eliminate shadows produced by overhead lighting, creating a more even light distribution. It should be noted that eventually the adhesive backing of your tape lights will wear out. As a preventative measure consider using channel guides with your strip lights. You can also utilize channel guides for producing straight lines with your rope lights. Use a lens cover with your channel guides to help create a more evenly diffused light. There’s dozens of food trucks to choose from during an annual food truck festival. How do you make your truck stand out amongst the other rollers? Besides keeping all the food on your menu in stock, you need something else that can lure people in. Consider the addition of colored light bulbs. Use bulbs that are the same color or complimentary of your food truck. If you are parked near a tree, try adding colored light bulbs to patio stringers. Drape the bulbs above your truck or around the awning near the opening where customers order and pick up their food. If you aren’t near any trees, another option you may want to consider is using wooden posts to drape or wrap the lights on. This is especially helpful if your truck is parked near a seating area. Customers will likely to be drawn to this space since they will not only have seating, but they can see what they’re eating. Plastic red cups have the reputation of being all about partying and a good time. Make your food truck the place to be by incorporating the quintessential red party cup into your outdoor décor. All you need is red SOLO cups, some string lights and 1 pair of scissors or x-acto knife. For full instructions, see our previous post entitled, Red Cup Light Delight. Food trucks have it made. They can go wherever their customers’ bellies take them. But remember, it takes more than just a great menu; you’ve got to stand out enough for potential customers to know you’re there or else they may just keep rolling. For more illuminating tips, check out our blog and as always feel free to connect with us on Facebook, Twitter, Google+, LinkedIn, and Pinterest!